Male Ruffs have incredibly showy breeding plumages. In the foreground, the black-ruffed form is a dominant male known as an “independent”; the white-ruffed form is a subordinate male known as a “satellite.” A third type of male known as a “faeder” looks almost exactly like a female Ruff. Photo by Gerrit Vyn. The former scientific name of the Ruff—a striking Eurasian shorebird that stands about a foot tall—was appropriately Philomachus pugnax, which roughly translates as “fight-loving fighter.” It was a good scientific name, because battles frequently break out in the places where the males are looking for mates, on their leks. But as scientists have studied who’s mating with whom, it turns out some male Ruffs don’t like to fight—and avoiding conflict is their key to successful breeding. Ruffs breed in wetlands across northern Europe and Asia. Males are large and ornamented; females are smaller and less conspicuous. When displaying for mates, the males get even bigger and showier by puffing themselves up, showing off the feather collar that gives the bird its name. Ruffs gather to display in patches of marsh known as leks, which work as shopping windows: the males sell themselves as the best possible mate, and the females stroll by to evaluate them. While most male Ruffs puff up to look impressive, evolution has given some males a different playbook, one that ditches looks and aggression for traits such as cooperation, and even deceit. 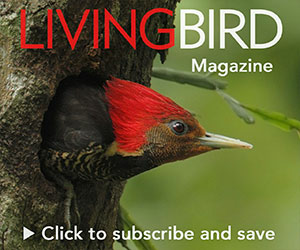 Scientists recently discovered that these approaches are written into each bird’s DNA, in a group of genes known as a “supergene” that dictates both how the birds look and how they act. The "satellite" form of the male Ruff has a white collar and plays a subordinate role at breeding leks. This Ruff looks like a female, but it's a male of the "faeder" form. Its strategy is to forgo fighting entirely, blend in with the females, and occasionally mate with them unnoticed—the so-called "sneaker male" approach. Male Ruffs come in three types: most (about 80 to 95 percent) have fancy plumes and an appetite for fighting. Scientists call them “independents.” Another 5 to 20 percent of males, known as “satellites,” take a subsidiary role. They’re not as colorful but display their feathers alongside the independents and help attract females to the lek. In return the independents tolerate them—and occasionally permit satellites the chance to mate with a female. Then there’s an entirely different approach, used by a very rare third kind of male (less than 1 percent) known as a “faeder” (after the Old English word for “father”). Faeders don’t fight, and they don’t sport any colorful feathers at all. In fact, they look just like a female Ruff, which allows faeders to sneak onto the lek without attracting unwanted attention from the fight-loving independents. Even though faeders look female, their testes are much larger than an independent’s. The faeder’s strategy involves waiting until a female signals to a displaying independent that she’s ready to mate. At this critical time, the faeder quickly ducks in and mates before the independent has a chance—deceiving both the independent male and the female. If this sounds sneaky, it is. Behavioral ecologists actually refer to it as the “sneaker male” approach. It’s widespread across the animal kingdom, especially in fishes. A faeder male stands in front of a satellite male on a lek in Norway. Lamichhaney, S., et al. (2016). Structural genomic changes underlie alternative reproductive strategies in the Ruff (Philomachus pugnax). Nature Genetics 48: 84–88. Küpper, C., et al. (2016). A supergene determines highly divergent male reproductive morphs in the Ruff. Nature Genetics 48: 79–83. In a 2015 breakthrough in the journal Nature Genetics, scientists finally answered a basic question: Can Ruffs choose whether to be an independent, satellite, or faeder? The answer is no; male Ruffs are born with their strategy. They carry it in their genes, according to research by two teams of scientists—a group led by Terry Burke of the University of Sheffield in the United Kingdom and another led by Leif Andersson at Uppsala University in Sweden. The male Ruff mating strategies are the product of a “supergene”—a group of more than 100 genes that are inherited in a block, without any of the mixing and matching that normally happens during reproduction. Supergenes first appear in a species because of a reproductive mistake known as a “chromosomal inversion,” when a block of genes gets turned around backward in the DNA. Many chromosomal inversions are detrimental and never get passed on, because they can kill the offspring. But every so often a chromosomal inversion confers an advantage. When that happens, the supergene’s reversed orientation means those genes stay together from generation to generation, passed along like a complete set of instructions. This method of inheritance allows the genes to evolve as a single package. That’s how the Ruff’s very complex set of traits came about. It takes many different genes to control plumage, body size, hormones, and behavior, but they have all developed together to create different supergenes and three distinct types of male: showy, feisty independents; subordinate satellites; and drab but sneaky faeders. No single gene can do this, but many genes can when they evolve together and are inherited as a block in a supergene. But there’s a catch. The faeder and satellite supergenes with the blueprints for appearance and behavior also carry a deadly genetic defect. Males that inherit just one copy of these supergenes survive. But if a Ruff gets two copies, it dies early in development. "Independent" male Ruffs may have black, russet, or creamy coloration, but all have a spectacular ruffed collar, giving the species its name. This male is an "independent" form. It has a pale creamy ruff, but not the clear white seen in "satellite" males. Ruff males are among the most spectacularly plumaged of all shorebirds. Ruffs breed by gathering on marshy grounds known as leks, like this one in northern Norway. Male "independents" and "satellites" strut for females, hoping to be chosen as mates. Each male's strategy, whether a dominant "independent," a subordinate "satellite," or a sneaky "faeder," is not a matter of choice. It's genetically determined. An independent Ruff in a quiet moment on a lek. A "satellite" male with its white ruff stands out on a lek with three "independent" males. The Winner Takes It All…or Does He? So which strategy wins? From a quick look at a lek, it would seem that independents have the market cornered. But that’s not necessarily the case. Scientists note that the proportions of independents, satellites, and faeders are fairly constant. For that to be the case over the long term, there must be some advantage to the other strategies. Otherwise the independents would take over completely. One possibility might be that the success of satellites and faeders is based on how common they are in the population. This means that when satellites and faeders are relatively numerous, they tend to do worse than when they are rare. In other words, sneaking past independents and cheating only works when it’s an uncommon practice. Alternative approaches to basic one-to-one mating and reproduction are common among birds: Wood Ducks sneak around to lay eggs in their neighbors’ nests, for example. But it’s rare for these strategies to be controlled genetically, at least to the extent that they are in the Ruff. The details of how the different genes within the supergene work to generate these strategies remain unknown. Still, what Ruffs illustrate—in spectacular fashion—is that there is more than one way to be successful in life. Leonardo Campagna is a research associate at the Cornell Lab of Ornithology.